Article: #ICYMI – Check Out The Winners Of The 2016 Streamy Awards And A Recap Of The Unforgettable Night! The 2016 Streamy Awards took place on October 4, 2016 at The Beverly Hilton Hotel in Beverly Hills, California, and although it may have been a couple of days ago already, we still can’t get over how epic the Streamy Awards were. With King Bach hosting the spectacular award show and certainly giving us all a night to remember, oh and he announced that he is running for President (#VoteForKingBach!) plus many more sensational highlights, the 2016 Streamy Awards definitely made entertainment and online-video making history. It’s so awe-inspiring to see how far the online-video making world has come and how so many content creators have gone on to doing some remarkable things because of their hard work and passion for creating incredible content. That’s what the Streamy Awards is all about – celebrating all of the successes and the future of the online-video making world and how much of an impact it has made in all of our lives. 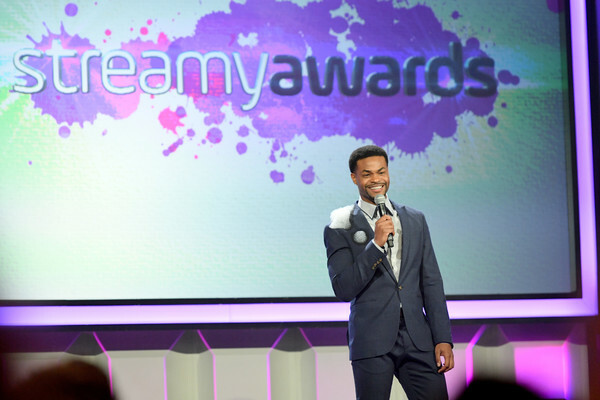 The Streamy Awards brought together so many of our favorite content creators under one roof. The night had many memorable moments such as many extraordinary online-video makers coming out to present at the event and the one and only Biz Markie taking on the stage at the event to perform his hit songs “Just a Friend” and “Make The Music With Your Mouth.” The night was even more special with a touching and mesmerizing tribute to the stupendous Christina Grimmie, who was a genius and phenomenal musician and YouTuber, and Kurt Hugo Schneider and Sam Tsui’s performance to honor the late singer left everyone speechless. The 2016 Streamy Awards promised a marvelous night and it truly gave that! Everyone who was nominated and won at the award show truly deserved it and here at Alexisjoyvipaccess.com, I’d like to send a big congratulations to all of the winners and nominees at the 2016 Streamy Awards – they all have changed many lives through their exceptional content and they continue to bring more and more positivity to the online-video making community. #ICYMI – check out the full list of winners from the 2016 Streamy Awards below! Follow the Streamy Awards on Twitter: @Streamys and join in on the conversation by using #Streamys! *The list below includes previously announced winners from the Official Streamy Awards Nominee Reception at YouTube Space LA. Previous VIPAccessEXCLUSIVE: The Spectacular Merrell Twins Updated Interview With Alexisjoyvipaccess At The Streamy Awards Nominees Reception Event! Next Article: Brooke Lewis Got In The Halloween Spirit At Her “Coaching From A Professed Hot Mess” Book Signing!